It is the silly season. The season of madness. It’s the time for holiday merriment with its relentlessly upbeat expectations, sometimes forced, especially for those of us grieving the loss of a loved one. No matter where I or what I am doing, there is always one thought that is in the forefront of my mind: “My child is dead”. That thought can never be erased. It has become a part of my soul. Yes, I have moved forward, but I can never forget. There is an aching in my soul and a hole in my heart. There is always a part of me that is always aware that “my child is dead.” I will never be complete again. Nothing or no one can fill the place my child had in my life and heart! Like a drowning person I am grabbing onto symbolic things – an angel garden, burning candles, a memorial light in a tree of remembrance, a Hospice….. These symbolic things simultaneously provides solace, searing pain and anger. Many bereaved people will pretend this is just another holiday season. It isn’t. I refuse to pretend that it is. This will be my first birthday, our first Christmas, Jared’s 17th birthday and New Year without Vic. My birthday I hope to ignore. Christmas Eve we will spend at Lani’s house with a lot of people we don’t know. I know there will be no room for thought. There will be a lot of food, gifts, talking, laughing…. Christmas Day I will go to a squatter camp with Reuben and the children in his church. We will provide the poor with a meal. Jared’s birthday – we will all make a huge effort to make special… New Year’s I will remember knowing last year that Vic was dying. That it was her last New Year. 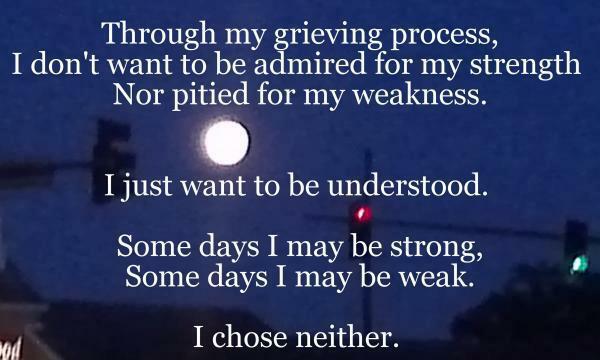 I do wear my grief as a badge of honour. My precious child was gentle, kind, compassionate, beautiful, loyal and loving. She earned every tear I have ever shed. She earned ever tear I will ever shed. I wish people would understand that it’s total impossible for me to “get over it”, “put this in the past”, “stop dwelling on your loss”, or “move forward”. I love my child. I miss my child. I want my child home with me. I reblogged this lovely post from http://lizardomd.com/. 280 days ago my precious Vic died peacefully. For a long time preceding her death Vic was at peace about leaving the world. She was dreadfully sad that she would not see her sons grow up, turn 21, graduate, fall in love, get married…. She was sad to leave me behind. She was sad to leave her friends behind. Unfortunately, pain and a weak body prevented her from accomplishing some of her bucket-list items. 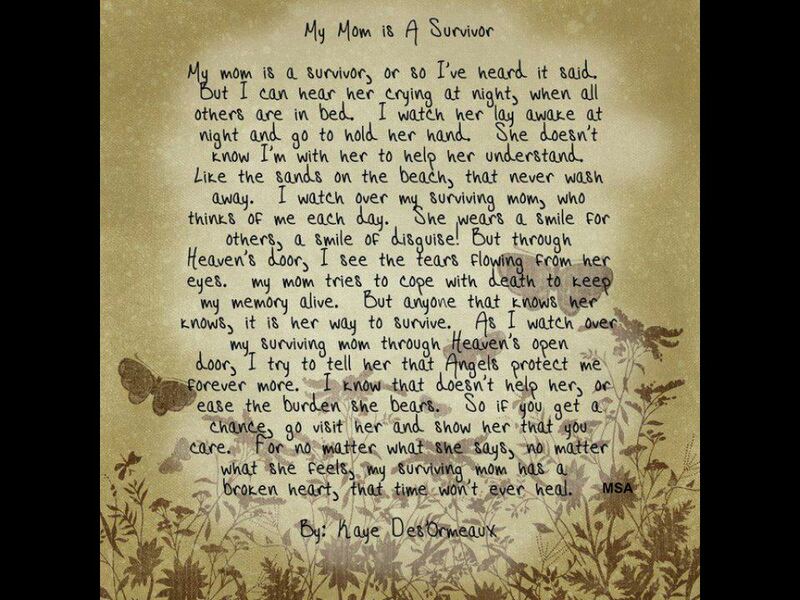 She however left a wonderful legacy – two young men who were/are proud to call her Mommy and a Hospice. Vic taught people the meaning of living…. She never considered herself to be “dying”. She never wallowed in self-pity. She never stopped living. We all have to die. We can die kicking and screaming or with dignity. I hope I will be brave enough to be stoic and dignified when my time comes. When I first got married, and my ex-husband asked me for a divorce, he cited a couple of reasons for the request. Now I know there was a certain amount of truth in the statement. I knew that I was not focused on his needs quite as much as his mistress was. But, I also knew, in my heart that, although I am not an oil painting, I was reasonably attractive in my own way. Some people have even said I am pretty. It is true that beauty is in the eye of the beholder. It is also true that harsh words will never leave one’s head. I still hear his words 34 years later! Let us remember that words destruct and destroy. Words can never be taken back. Hurt lingers on…. Let’s be gentle! Never have I missed you more than today. Of course I appear to be “carrying on with my life”. Why not? The world demands it of me. When I cry I confuse the world. It has already been 8 months…I should be over my child death. Does it? No!! Existing, breathing goes on… We live with this dreadful void in our lives. Just think of it. When you miss your child you pick up a phone, you Skype, get onto an aircraft or into a car and go visit. You can hug and hold your child. I have a box of crushed ashes. So until you have walked in my moccasins – please don’t expect of me to “get on with it.” I am doing the best I can. Live your life, I will grieve the loss of mine. I miss you so much my Angel Child. I missed you yesterday, I am missing you today, I WILL miss you tomorrow and every living second of my life. Al my love, yesterday, today, tomorrow – forever. For the past 25 years, I have worked with thousands of grievers. I have sat with widows and widowers, the young and the old. I have offered tissues to bereaved parents in their inconsolable grief. I have normalized, educated, listened to and championed those grievers who, through tremendous pain, still engaged with life. In the decades since my book Transcending Loss was published, the grieving process has not changed. As I interact with grievers from around the world, I am reminded of the universality of grief. 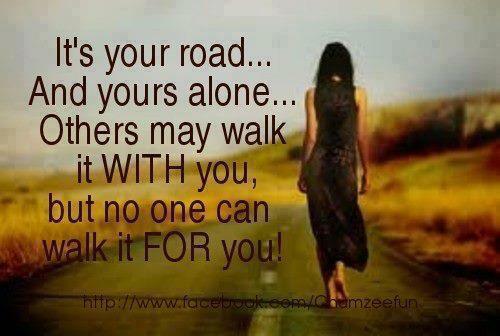 And though each person has their own journey, still they share many common experiences. 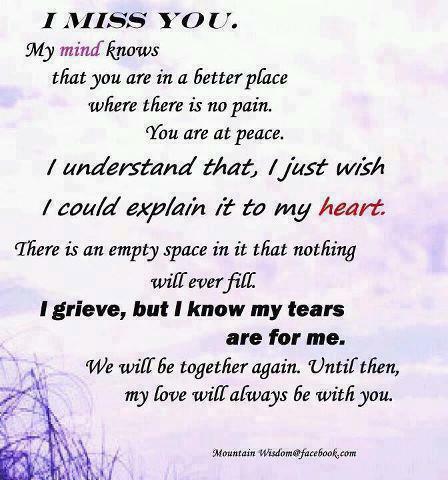 Yet, still, I see and hear so much misinformation and confusion around grief. Principally, this comes from the widely-held myths that grief should be easy, that grief should be short, that grief has closure, that people should get on with their lives unchanged and that ongoing connection with the deceased is somehow pathological. So, in trying to set the record straight, I’m offering seven principles in this primer on grief intelligence. 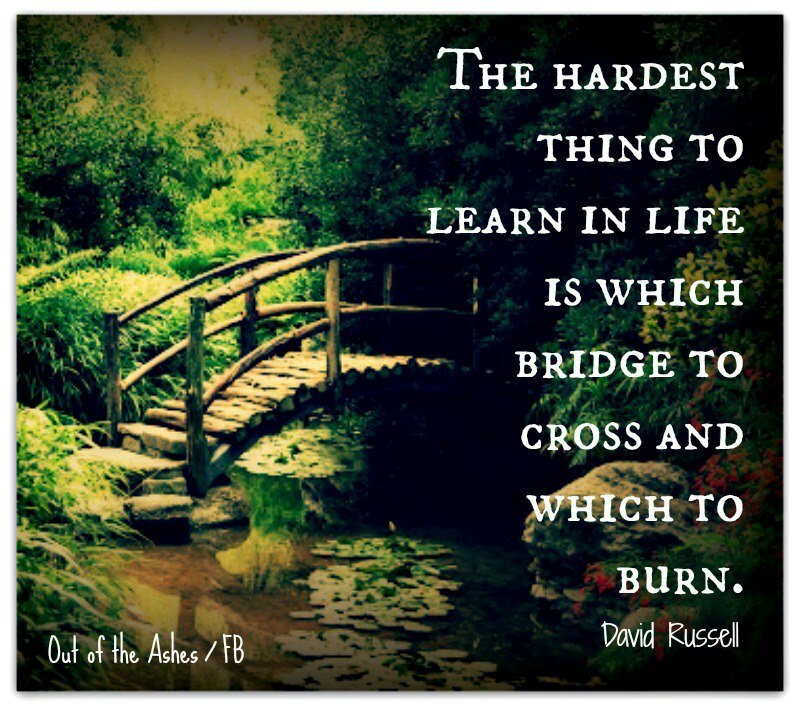 Most people don’t learn these lessons until life thrusts them onto the roller coaster of major loss. However, if we can get the word out, then perhaps a new generation of individuals will feel more supported and understood when it is their time to grieve. 1. 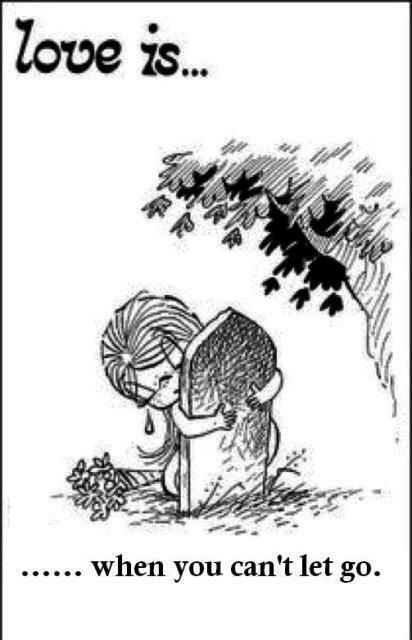 Grief is a normal reaction — Grief is the natural emotional and physical response to the death of a loved one. Although our society desperately wants to avoid the messiness of deep sorrow, there is no way out except through the pain. Typical numbing techniques such as medications, alcohol and food are only temporary distractions to dull the pain. Letting oneself grieve by going directly into the pain — in manageable doses over a long period of time — is healing. Avoiding the pain simply forces it to go deep into the heart where it subtly affects emotional and physical health. 2. Grief is hard work — Grief isn’t easy and it isn’t pretty. It involves tears, sleepless nights, pain, sorrow and a heartache that knocks you to your knees. It can be hard to concentrate, hard to think clearly, hard to read and easy to forget all the details of life that everyone else seems to remember. Grievers frequently feel that they’re going crazy and they sometimes wish to die. This doesn’t mean that they’re actively suicidal, it just means that they’re grieving. 3. Grief doesn’t offer closure — Closure is an idea that we like because we want to tie up our emotional messes with a bow and put them in the back of a closet. But grief refuses to play this game. Grief tends towards healing not closure. The funeral can be healing, visiting a gravesite can be healing, performing rituals, writing in journals and making pilgrimages can be personally meaningful and healing. But they will not bring closure. Closure is relevant to business deals but not to the human heart. 4. Grief is lifelong — Although we all want quick fixes and short-term solutions, grief won’t accommodate us. Many people want grief to be over in a few weeks or a few months and certainly within a year. And yet, many grievers know that the second year is actually harder than the first. Why Because the shock has worn off and the reality of the pain has truly sunk in. I let grievers know that the impact of grief is lifelong just as the influence of love is also lifelong. No matter how many years go by, there will be occasional days when grief bursts through with a certain rawness. There will be days, even decades later, when sadness crosses over like a storm cloud. And likely, every day going forward will involve some memory, some connection to missing the beloved. 5. Grievers need to stay connected to the deceased — While some might find it odd or uncomfortable to keep talking about a loved one after they have passed, or find it disconcerting to see photographs of those who have died, it is healthy to keep the connection alive. My heart goes out to a generation or more of grievers who were told to cut their ties to their deceased loved ones, to move on, almost as if they had never existed. Such unwitting cruelty! It is important to honor the birthdays and departure days of deceased loved ones. Their physical presence may be gone, but they remain in relationship to the griever in a new way beyond form, a way based in spirit and love. 6. Grievers are changed forever — Those who expect grievers to eventually get back to their old selves, will be quite disappointed. Grief, like all major life experiences, changes a person irrevocably. People don’t remain unchanged after getting an education, getting married, having a baby, getting divorced or changing careers. Grief, too, adds to the compost mixture of life, creating rich and fertile soil. It teaches about living and dying, about pain and love and about impermanence. While some people are changed by grief in a way that makes them bitter and shut down, it is also possible to use grief as a springboard for compassion, wisdom, and open-heartedness. 7. Grievers can choose transcendence — Transcendence has to do with gaining perspective, seeing in a new way and holding pain in a larger context. Seeing one’s grief from a larger perspective allows it to be bearable and gives it meaning. For one, transcendence might mean reaching out to those who suffer. For another, it might mean giving to a cause that will benefit others. Grievers who choose transcendence recognize that they are not alone, that they share a common human condition, and that they are amongst so many who have experienced love and loss. They use their pain in a way that touches others. The pain is still there, of course, but it is transformed.